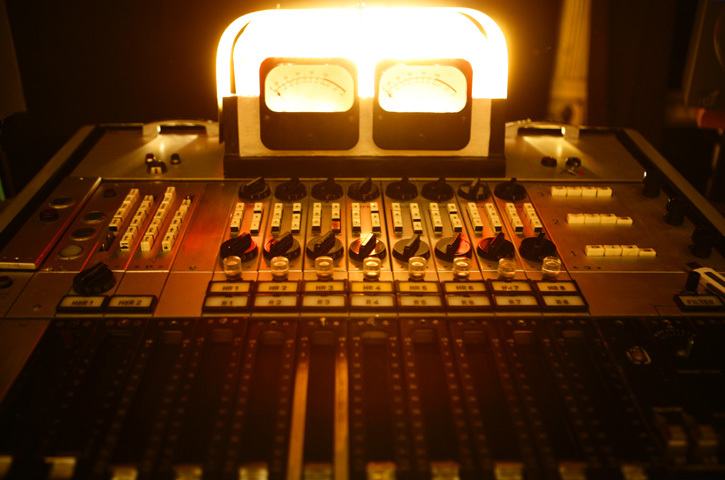 Ever listened to old stereo recordings from the times when stereo was new and exciting? If your answer is yes, you have probably noticed that the instruments are placed differently from the way they appear on modern recordings. They kind of sound odd for some reason. If you pay attention, you will notice that the sonic elements – the instruments – appear only on either the far left or right side, or in the center. Why is that? Well, the technical reason for this is because back in those days, there were no pan knobs on the mixing consoles, only “L-C-R” assign buttons. It resulted in three distinct and beautifully separated “pathways” on which music could flow into your ears, my dear audio-geek friend. Interestingly, these things didn’t limit artistic creativity, or at least they didn’t limit it in a bad way: clarity could still be achieved, and a certain amount of excitement could be created with the surprise factor of elements appearing only in one of the three positions. Especially when strong ones with lots of energy – like drums, bass or even lead vocals – appeared on one side only, just to get balanced out with pretty much everything else on either the other side or in the center. Check out The Mamas & The Papas cover of this old classic (by Jerry Leiber and Phil Spector) below, from 1966. Listen to the bass: it’s on the hard right, along with the percussion. Backing vocals and a string section are hard left. This Bob Dylan cover by the electric 12-string pioneer Roger McGuinn and his bandmates is one with the bass on the right, too. But this time, the whole drum kit is on the right side as well. Interestingly, there is also some twelve-string bleed on the right, despite most of this track taking place on the left side. This long-winded jammy-bluesy sounding 1967 track below, sang by the Irish singer-songwriter also has the drums and the bass on one side. But this time they are assigned to hard left. A tambourine on the right side plays perfectly in sync with the snare drum hits, to balance things out percussively. Notice how the – sometimes spring-reverbed, sometimes bone dry – lead guitar fill-ins are on the hard right. At the same time, there’s also a gentle plate reverb-only sound of the same guitar assigned to the left side, creating a fake stereo image. The George Harrison penned classic off the 1969 Abbey Road album has the drums in the center. However, McCartney’s round and robust bass track is on the right, with certain other elements balancing it out on the hard left, including a guitar played through a Leslie-cabinet. Next → Next post: Dry is king… even if reverb is nice. 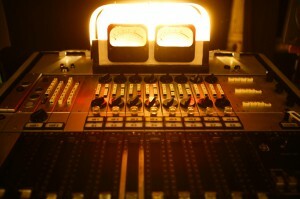 Nice to find a picture of my console here. I forget the photographers name….